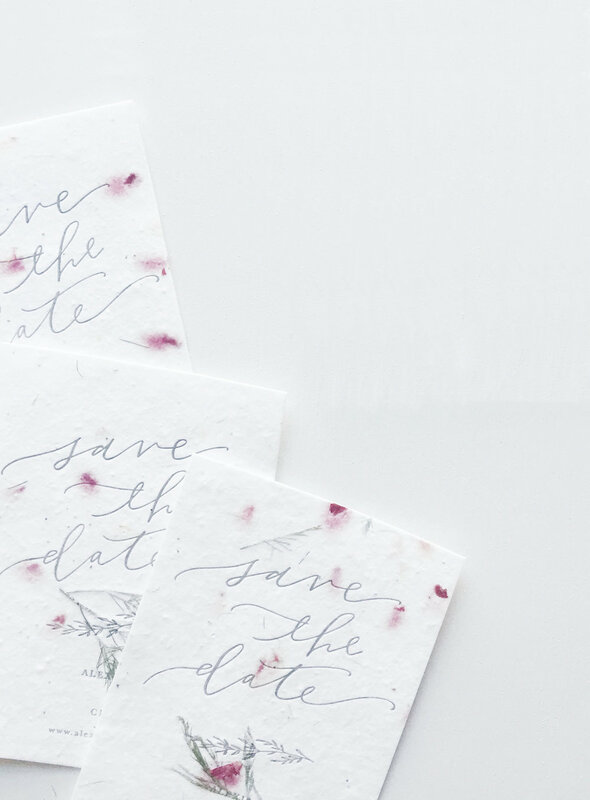 These beauties were letterpress printed with gray ink on specialty seed paper and matched back to blush envelopes. We just couldn't get enough of this texture! We later used the seed paper for the invitation envelope liners and table numbers for the wedding reception. We're always up for trying out new papers and effects! If you have an idea in mind contact us for more info.